Exciting experiences await girls ages 8-11 who visit Camp Jeremiah Johnson! 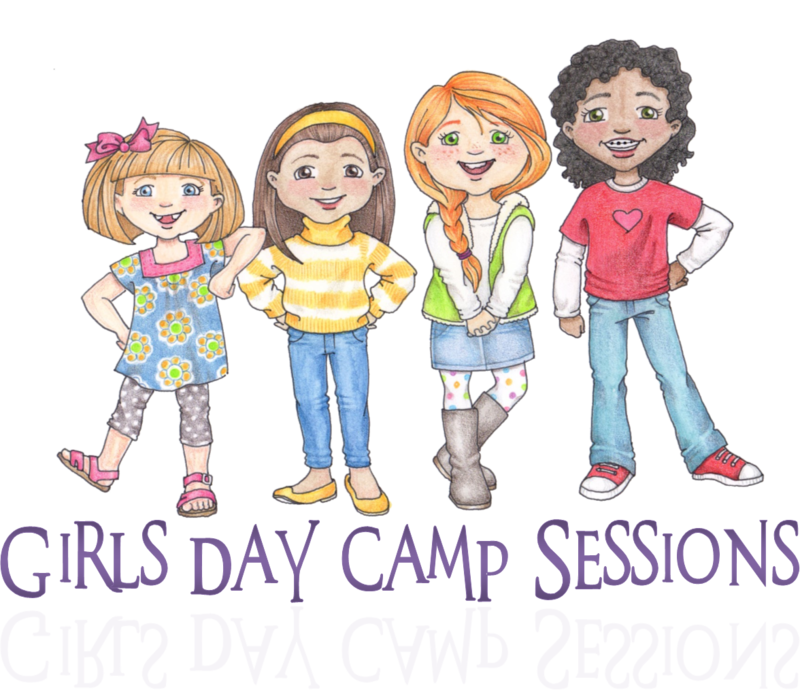 Some of the events your girls can look forward to include: archery, BB gun shooting, boats, crafts and much more! 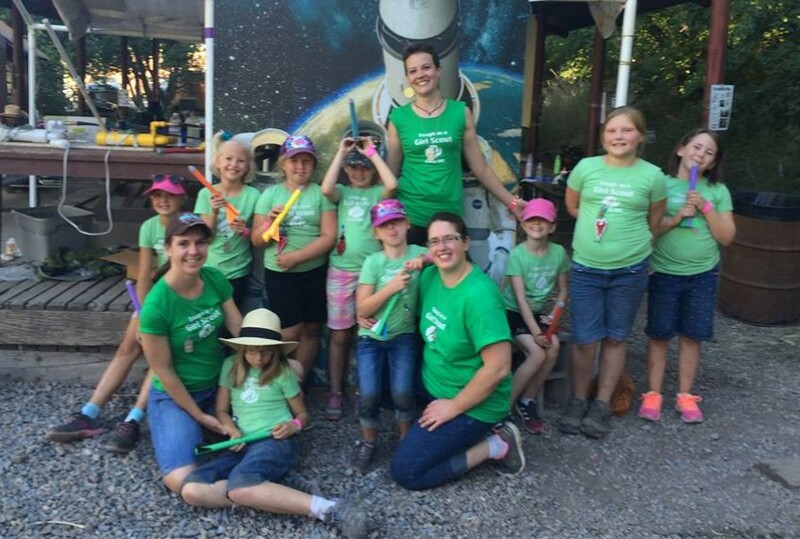 The fun and adventure at Camp Jeremiah Johnson are sure to beat the summertime blues and give your girls something to talk about for months. Be sure they get the Jeremiah Johnson experience by registering online for the day that best fits your schedule. What are Falcons and Hawks? It's a bit of a challenge to say 7, 8 and 9 year-olds repeated. We decided it's time to give the girls a name just like the boys. We chose Falcons and Hawks because they go along with our theme of soaring and they are majestic birds and so fun to watch, just like the girls that come to camp. Why do you separate the girls into age groups? Skill level - we try to provide age appropriate activities for the different age levels such as the barges for the younger girls and the row boats for the older girls. Ages of the girls - As the girl's age range widen, now adding 7 year-olds to our program, we felt that an 11 year old would much rather be with girls their own age versus much younger girls. 4 years is a big span when girls are growing and changing as quickly as they do. What if we want to keep all our girls together? Know that if you separate you will see each other several times throughout the program and will be able to eat lunch or dinner together. However, if you really want to stay together simply register all of your girls as either Falcons or Hawks. What days are available to register? To see click here. What if I have girls registered to come to camp who can't come at the last minute? Girls Program Roster (download here) or for LDS units you can bring an MLS list from your ward clerk. The majority of camp participants bring their own lunches. If you choose to do this, please bring them in coolers as there is no refrigeration available. When you come to check in you're welcome to bring your cooler with you and put it in the main pavilion to reserve a table. Some leaders like to throw in a table cloth to assure they have a clean surface to eat on (we wash tables twice a day). You can also purchase lunches/dinners at camp. We offer hot dog or PB&J meals (Uncrustables). Both come with chips, drink, apple and a small treat. The cost is $3.00. Meals can be purchased when you register or on the day of camp before the end of the 2nd rotation. We'd love to have your unit help with either the opening or closing flag ceremony. When you register for camp you will be asked if you'd like to participate. There may be several units who sign up to help. If you want to be chosen shoot the Camp Director an email be sure to arrive on time.